Forest School Association Forest School is an inspirational process, that offers ALL learners regular opportunities to achieve and develop confidence and self-esteem through hands-on learning experiences in a woodland or natural environment with trees. International Center for Reiki Training (ICRT) William Lee Rand became a Reiki Master in 1989 and taught his first class in June of that year. The Center for Reiki Training was started in 1991 and in 1997 we added International to our name because of the classes being taught in foreign countries. Forest School Canada Our mission is to foster rich learning experiences, ecological literacy, and healthy living by connecting children to nature through the use of the Forest School model in the early, primary, and secondary years. Spirit Science Originally, Spirit Science started as an animated cartoon series, and largely that’s still what it is today. I grew up making cartoons and Spirit Science was the results of a shift and transformation that I experienced in the months prior. 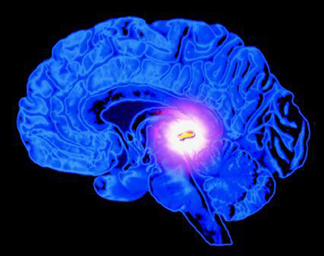 The Pineal Gland — The Bridge to Divine Consciousness our Pineal Glands may play an even more crucial role when it comes to the interaction with the soul and consciousness. Please join me on this wonderful journey to take advantage of two wonderful modalities that together can bring you to new places... And by that, I mean a forest or any serene, calming, or relaxing place in nature. If you love Nature and are familiar with Reiki or Shinrin-yoku please join the site and contribute to the growing community!